Just when we started to wonder how far we were from Hidden Lake, the trail reached a peak and suddenly, a big drop off and a gorgeous, deep blue/green lake nestled in dramatic cliffs and tall pines appeared. This was exactly the picture I had in mind for a pristine mountain lake. Off in the distance, the smoke from the fire formed a layer of cloud below us, and gave it a mythical quality. Even though it was hazy, it was still mesmerizing . The trail continued down to the lake, another 1.5 miles and several hundred feet in elevation change. The view was a great reward for the hike and we lingered a while to enjoy the magnificent scene. As we headed back, the trail got increasingly crowded. There were 10 people heading up for every one heading down. The composition of the crowd changed, with more people in sandals and no backpacks – the “theme park crowd” has arrived! Close to the visitor center, there was a sizable crowd gathered, all looking in the same direction. This was a sure sign of wildlife sighting. Apparently, there were several grizzlies in the bush. Loretta was worried because even though we didn’t see the bears, it was “too close for comfort” for her. I assured her that with 50 people, a ranger right next to us, and many cans of bear spray, we can handle any bear attack! She reluctantly agreed and we waited for a little while for the bears to show themselves, but no luck. By the time we got back, the parking lot was a crowded mess and full. People were waiting for parking spots and the visitor center was packed. There was an anxious man with a missing wife who was supposed to meet him a couple of hours ago but never showed up. He didn’t speak much English and the park police was trying to get more information from him. I felt bad for him. This was a nightmare and I can only imagine how anxious he felt. I hope he found his wife quickly and they can laugh about it later! One of the few places a glacier was visible from the road was Jackson Glacier off of Going to the Sun road. It is way off in the distance and looked like a patch of snow. Frankly, it’s not much to see but at least it was there so you could say you actually saw a glacier in Glacier National Park! 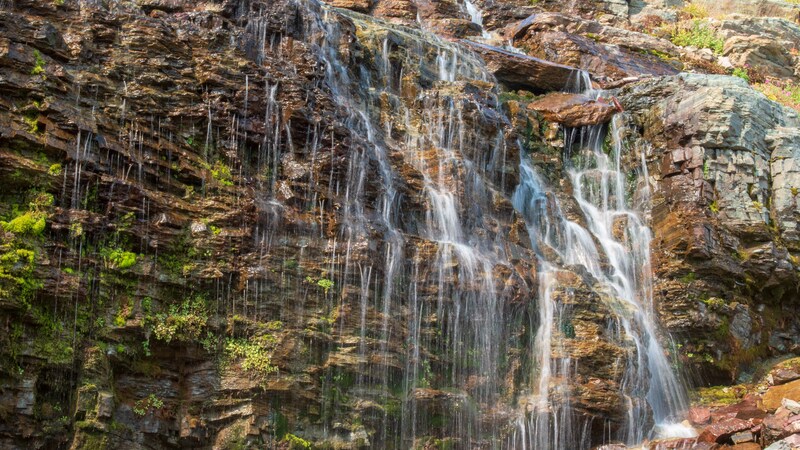 As stunningly beautiful as Hidden Lake Trail was, St. Mary Falls trail was even better. 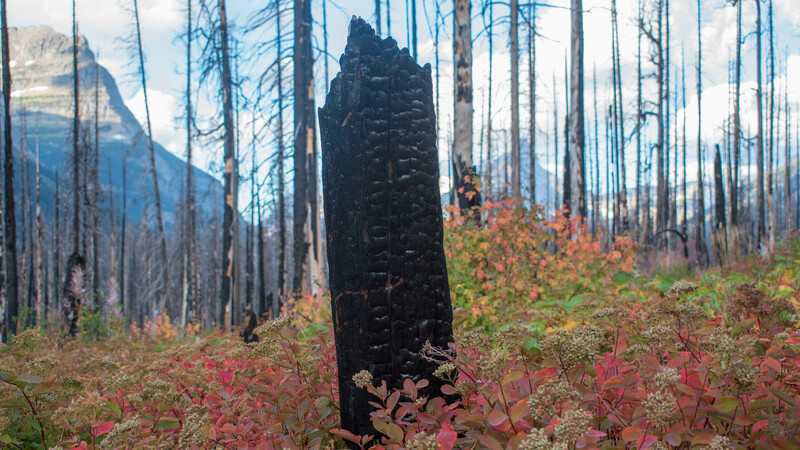 The trail went through a burnt out forest with charred, leafless tree trunks but vibrant underbrush. This was the natural circle of life when the destructive forces of fire cleared the way for new growth and new life. The trail continued down to St. Mary creek that fed St. Mary Lake but before long, the beautiful St. Mary waterfall came into view. This was not a particularly tall waterfall but it had character with a two-step fall and a bend at the bottom. 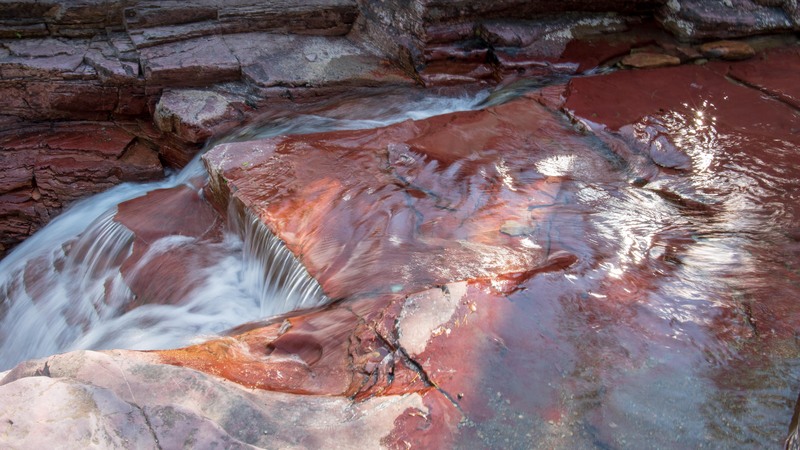 The water was crystal clear on top of oxidized red rock stream bed that was clearly visible and provided beautiful color. 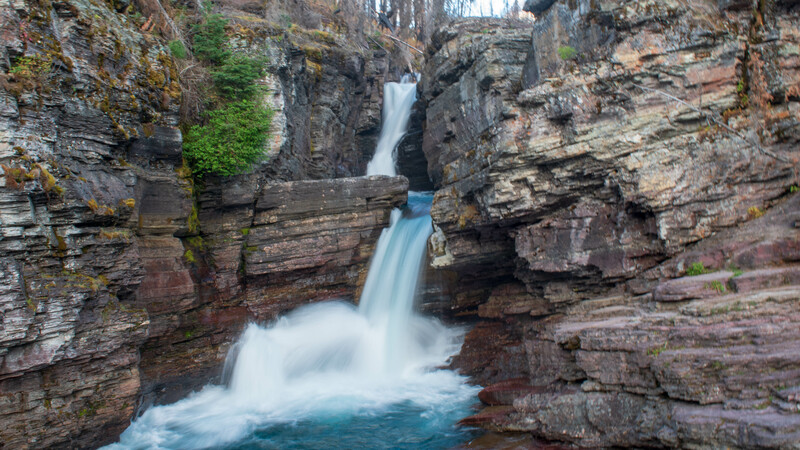 After St. Mary Falls, the trail climbed gently and went past several waterfalls, each more beautiful than the last, all with red and grey rocks and the occasional deep pool with the bottom clearly visible through the crystal clear mountain water. Then, I heard the sound of a large waterfall. Faintly at first, but it quickly got louder as we approached Virginia Falls. The main drop was about 70 feet and it looked more impressive because we were very close to it. The bright red rock behind the water provided a colorful backdrop. We looked at the waterfall straight on from the bottom, standing on a ledge with just a narrow opening for the water to flow through for the second tier of the falls. We lingered for a while, mesmerized by the sight and the sound and very few people around. The burnt remnants of the fire, the dramatic cliffs that surrounded the trail, the waterfalls, the sound of a babbling brook, and the fall foliage were all part of this perfect hike. The hike started with a cloudy sky with just the perfect crispness in the fall air, and ended with bright sunshine and warm temperatures. It was a perfect morning of hiking. Unlike the Going to the Sun road from St. Mary, the road into Many Glaciers was boring and very bumpy. It ran along the dammed Lake Sherburne, pretty but not in the same league as Upper St. Mary Lake. The destination of the road was Many Glacier Village, with a majestic Swiss style lodge built in the early 20th century by the railroad for tourists. 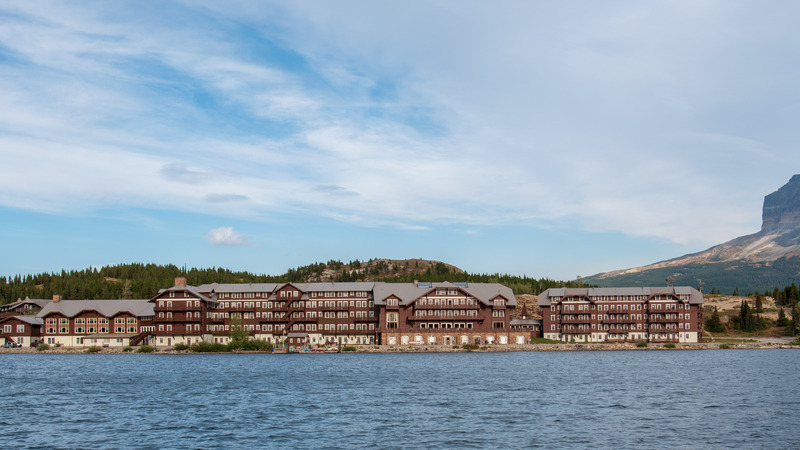 This was a majestic hotel on the beautiful Swift Current Lake. The lodge fit perfectly with its surroundings and felt at home inside a national park. The lodge caught fire in the early 1930s, and the employees fought hard to save the lodge. When they proudly cabled the home office to tell them about the fire and the fight to successfully save it, the response was “why?”. You see, it was during the depression and business was bad so it was preferable to collect the insurance money than to lose money operating the place. What a thankless response! I’m glad they saved it because the architecture was beautiful! Several trails and a boat tour started from the lodge. Grinnell Lake and Grinnell Glacier were popular hikes. Grinnell Glacier is a full day hike to an actual glacier. 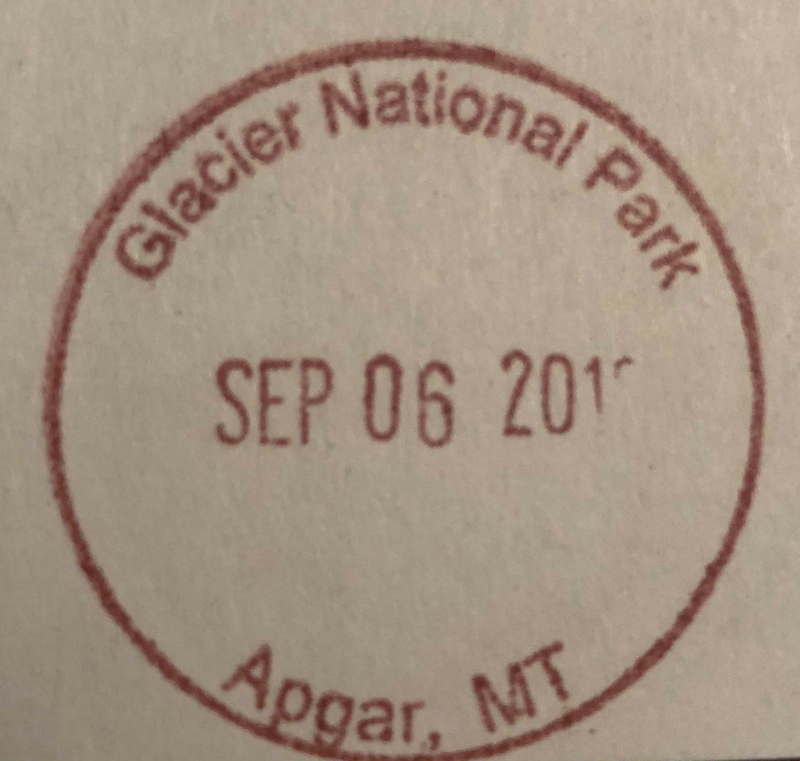 There was a ranger led hike daily to Grinnell Glacier. Since we’ve seen and hiked on much bigger and more stable (safe) glaciers, we decided to skip the hike to Grinnell Glacier and opted for Grinnell Lake. The boat took us across Swift Current Lake where we got out and hiked a quarter mile to Lake Josephine, where another boat took us across the lake to reach a mile long trail to Grinnell Lake. Along the pristine waters of Lake Josephine were bears foraging berries on this autumn day, along with a mama moose with her calf feeding by the lake shore. This was Loretta’s favorite way to see bears – 1/2 mile away and lots of water between the bear and us. The boat ride saved us 2.4 miles of hiking from the lodge. Our guide explained geology, moose habitat, beaver dams, berries, and microbursts as we hiked to Grinnell Lake. After a suspension bridge, we reached the stunning Grinnell Lake. Picture a deep turquoise lake in the foreground, cliffs that surrounded half the lake, peaks with snow still on the side in spots even on this September day, and a waterfall hundreds of feet tall. That was the picture perfect Grinnell Lake, my favorite scene in the whole park! 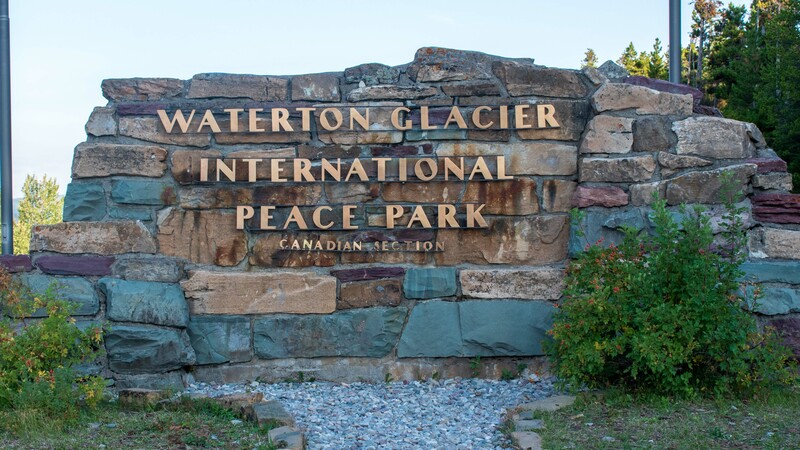 In 1932, Glacier National Park got together with the Waterton Lakes National Park in Canada to form the Waterton-Glacier International Peace Park. 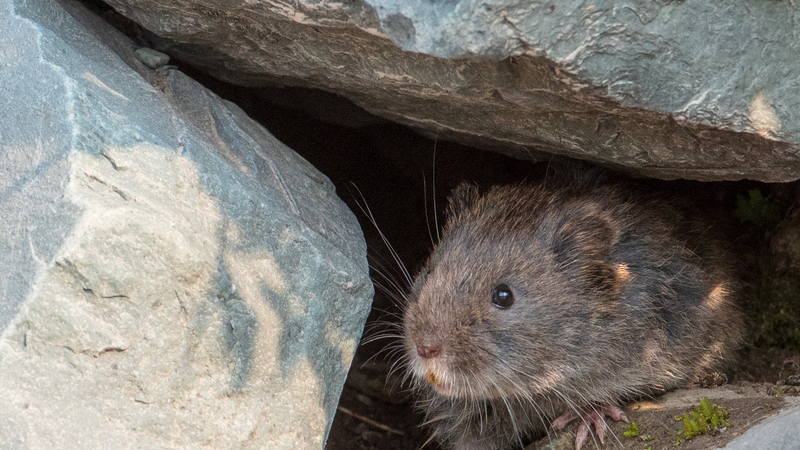 This was more than symbolic because the agreement formed one ecosystem for preservation. As we drove towards Waterton Lakes National Park and the Canadian border, we saw one sign that said the border crossing was open at 7am and another sign that said it was open at 9am. Ever the optimist, I expected the crossing to be open but as we arrived at the border at 8:30, orange cones and closed gates validated the 9am sign. There was not much to do except to wait for the border to open. In that half hour, however, the weather went from cloudy and rain to sunny and blue sky, perfect! After the border crossing, the road descended into a valley with Waterton Lake visible nearly the entire way. 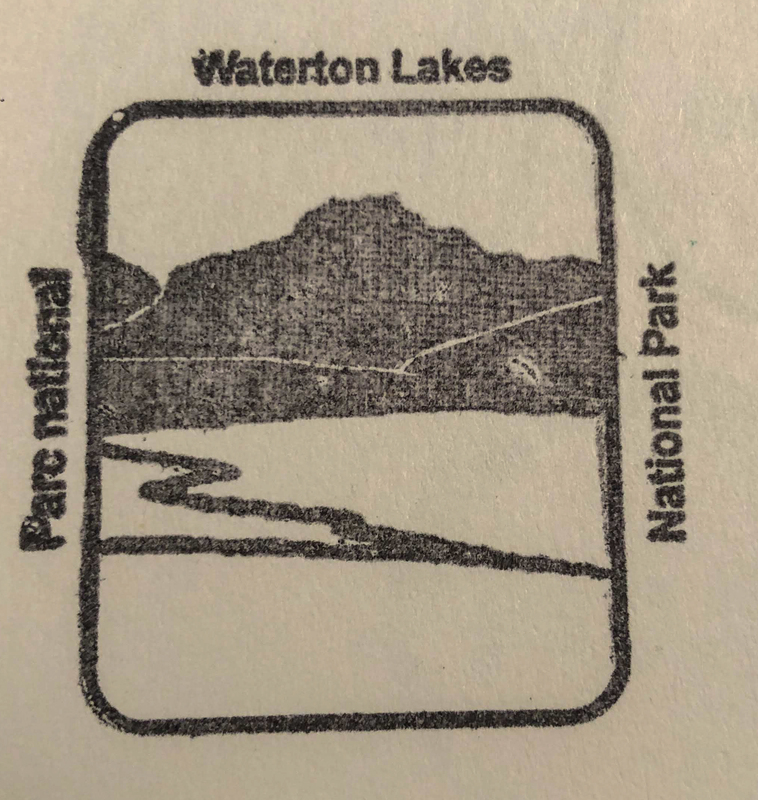 Unfortunately for us, the entire western half of the national park was closed due to fire and smoke, and even the few trails near the town of Waterton Park were closed due to fire. The town, a smaller version of Estes Park near Rocky Mountain National Park, was right on the lake shore. Waterton Park was a beautiful town with hotels, shops, and restaurants. Hanging baskets of flower lined the streets and the whole town was neat and well kept. There was a deer foraging on the lawn of a hotel by the lake, paying no attention to us as I begged her to look up so I can take a picture. I waited and waited, finally I gave up. As I walked away, she raised her head, looked at me as if to say “you should have waited just a little longer, ha ha”. 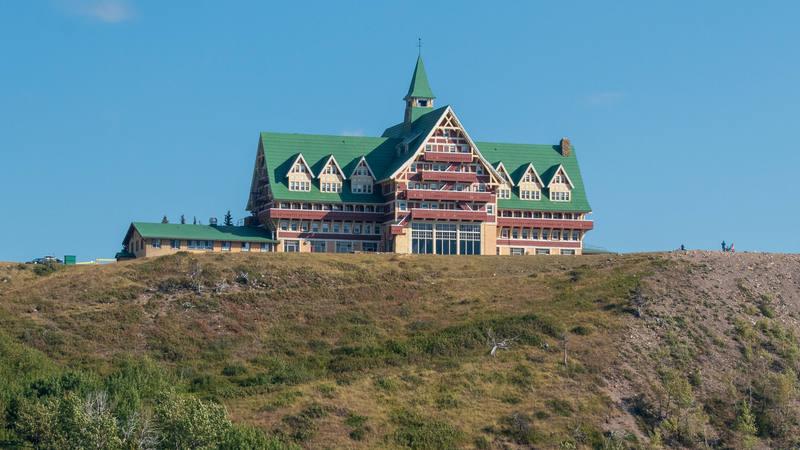 The Prince of Wales hotel, built in the 1920s by the Great Northern Railroad to attract tourists, sat on top of a ledge overlooking Waterton Lake. Although named after King Edwards VIII to entice him to stay there during his visit in 1927, he never stayed there. It was a very attractive place during the era of prohibition in the US. 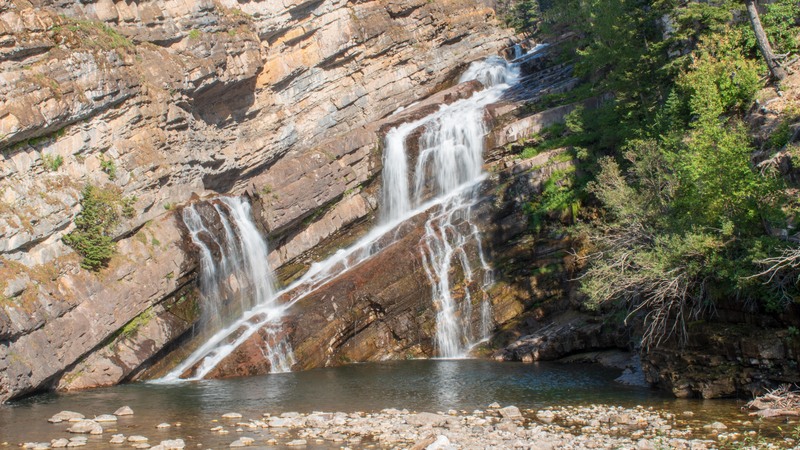 Cameron Falls, just on the edge of town and within walking distance was beautiful and well worth a stop. A boat tour was available that went from Waterton Lake to Goat Haunt on the US side. We didn’t have enough time to take the tour but it sounded interesting. Fire closed most of the park, including Akamina Parkway and Red Rock Parkway so we could not visit them. We ended our visit with an excellent lunch at Trappers Mountain Grill, disappointed but vowed to come back. Glacier National Park is also known for star gazing. We went to the St. Mary Stargazing event in early September when volunteer astronomers guided us to spot the constellations and the Milky Way with the naked eye and high power telescopes. There are fewer and fewer places where light pollution is low enough for the naked eye to see the Milky Way and it was a joy to simply look up, see the beautiful stars until the neck hurts! 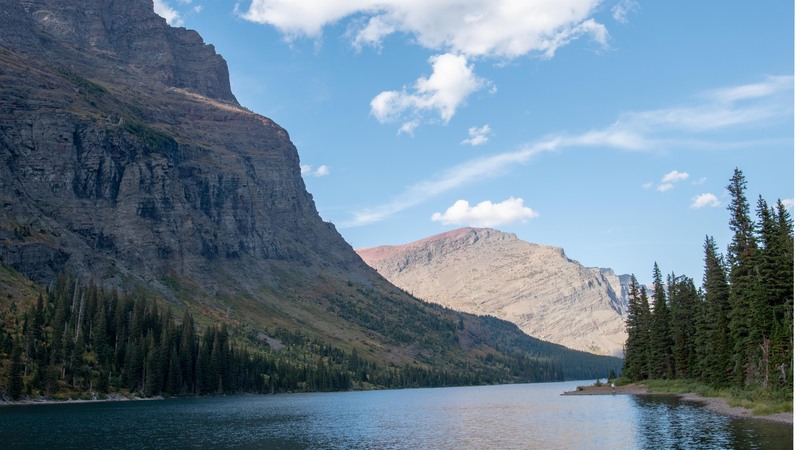 Have you visited Glacier National Park? Leave a comment below on your experience. You can’t do this park justice in three days, let alone one day. 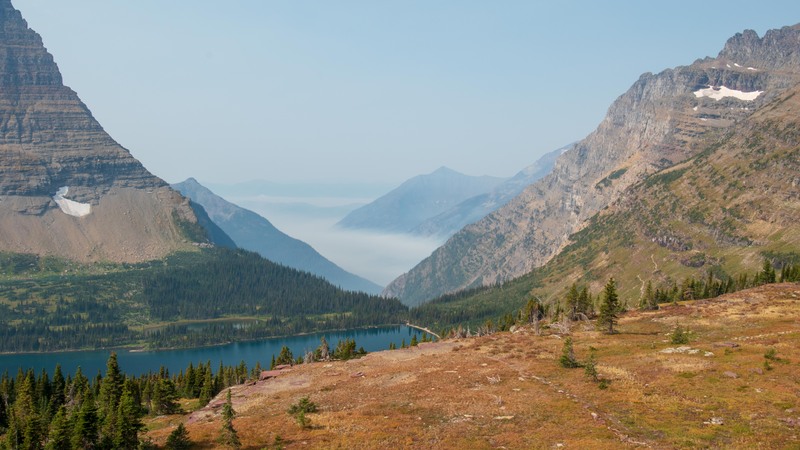 If you really have only one day, drive or take the shuttle for Going to the Sun road and hike either Hidden Lake trail to the overlook, or St. Mary Falls trail to Virginia Falls. Spend the first night at Lake McDonald and explore the area as time allows. Day 1: Take the Going to the Sun road to St. Mary and then to Many Glacier. Stop often along the way to enjoy the scenery and take at least one hike – Hidden Lake Trail. 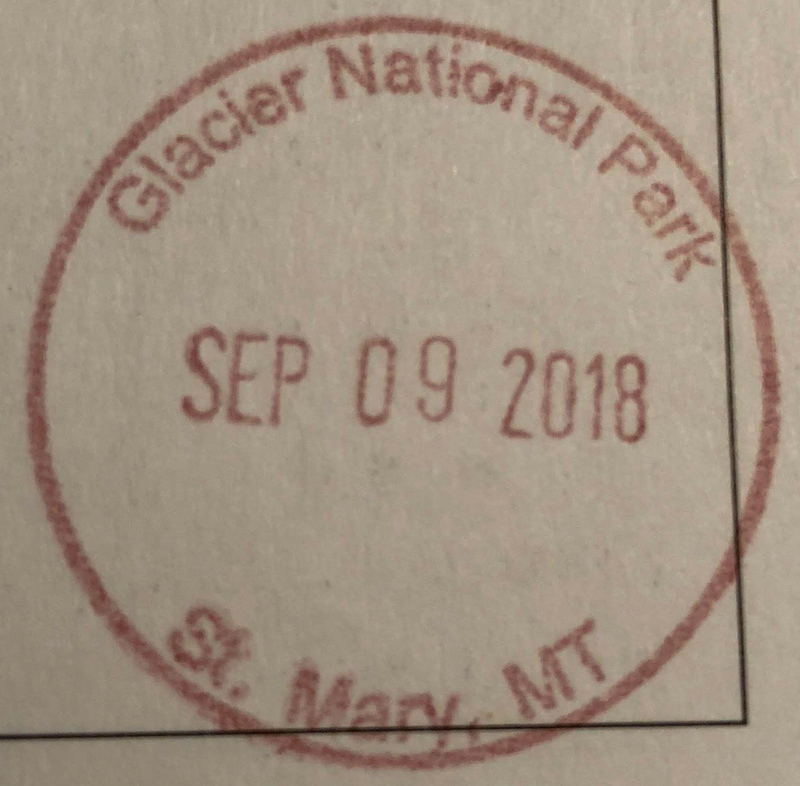 Stay at Mary Glacier Lodge the second and third nights. Day 2: Hike St. Mary Falls trail in the morning, have lunch at St. Mary, and return to Many Glacier Village. 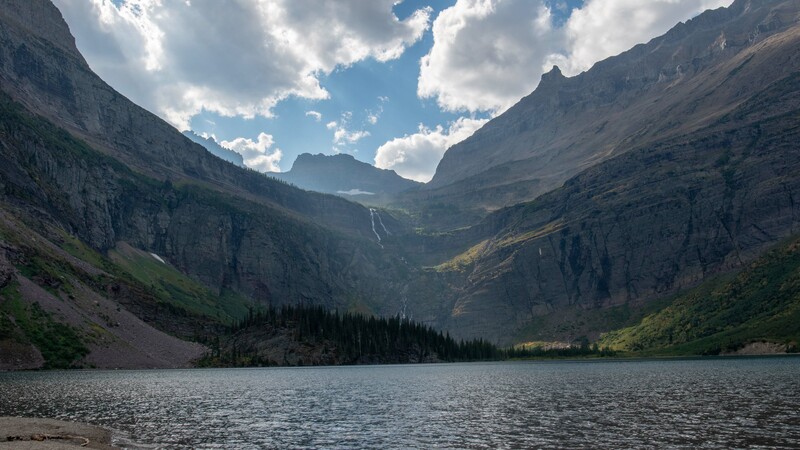 Take the boat across the lakes, and spend the afternoon on a hike to Grinnell Lake. 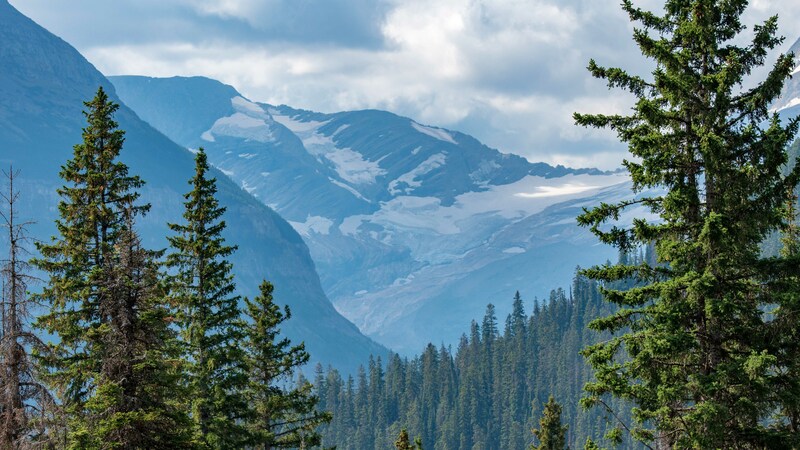 Alternatively, skip the St. Mary Falls and take the all-day hike to Grinnell Glacier. 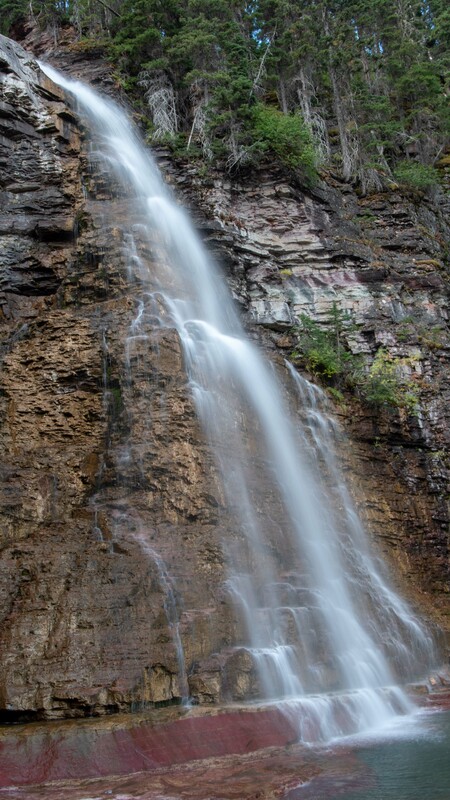 Day 3: Go to Waterton Lakes National Park in Canada, stroll around the town, drive the Akamina Parkway and Red Rock Parkway with a hike or two along the way. Alternatively, stroll around the town of Waterton Park and take the scenic boat tour to Goat Haunt and visit the Price of Wales hotel. If you have Day 4, head to Two Medicine area, take the boat across the lake and hike the trails on that side of the lake. Plan and book your trip early. The season is short and hotels / campsites often sell out 6 months ahead. Plan for the right time of the year to visit. Going to the Sun road usually opens in late June or early July and closes by mid-October. Many trails are closed due to snow and remain wet until late July. The trails often close by the end of September as the park prepares for winter. Activities start to shut down in early September. The boat tour on St. Mary Lake at Rising Sun closes by early September. Check the schedule of activities and lodging before settling on a date. 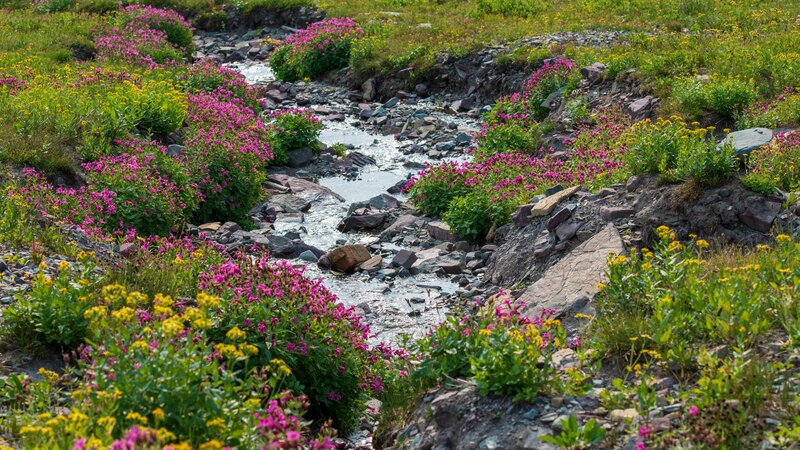 Plan to take the park shuttle during July and August to tour Going to the Sun road because parking will be a problem during peak hours. The “Red Bus” offers a narrated tour for a fee. Book early. Cell phone service is virtually non-existent, even around the towns. AT&T does not reach St. Mary or Many Glaciers. If you have international roaming enabled, turn it off unless you want to use it in Canada. It may accidentally pick up a Canadian cell tower as you get close and charge you international rates. Many Glacier Lodge is iconic and beautiful. Stay there if you can but book well in advance. St. Mary has several restaurants, a supermarket and a gas station. As you get away from St. Mary, the choices are few. It’s a 2+ hour drive from the Lake McDonald area to St. Mary on either Going to the Sun road (with no stops) or Highway 2+89 around the park. Plan accordingly. Book ahead for scenic boat tours. 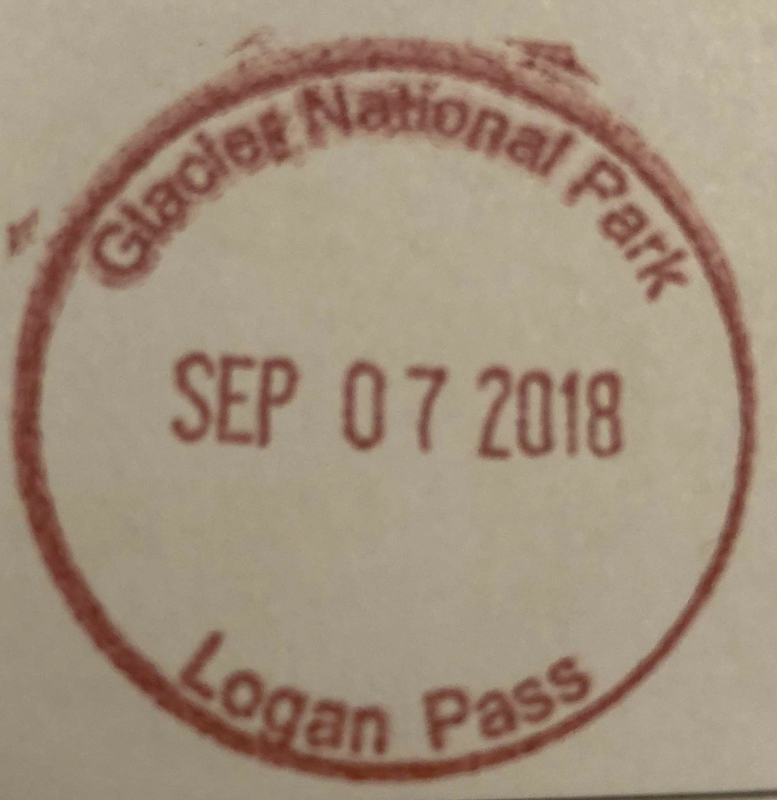 They are available at Lake McDonald, Two Medicine Lake, Rising Sun (St. Mary Lake), Many Glaciers (Swift Current Lake), and international boat tour on Waterton Lake between Waterton Park in Canada and Goat Haunt in the US. Entrance Fee: $35 per vehicle during summer months.